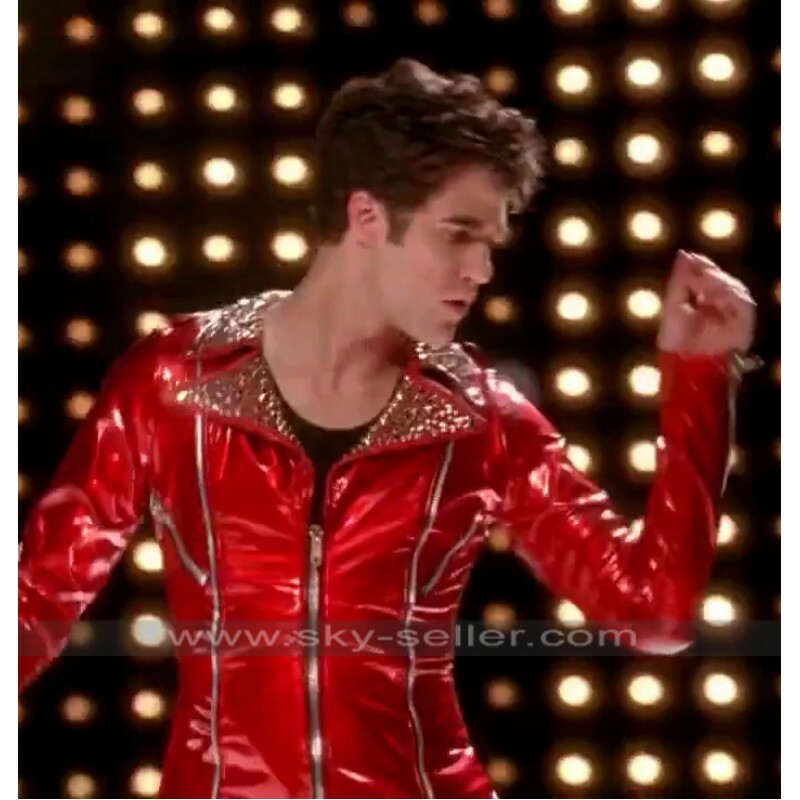 Are you a big fan of Blain Devon Anderson, a character from the very popular comic drama series Glee? 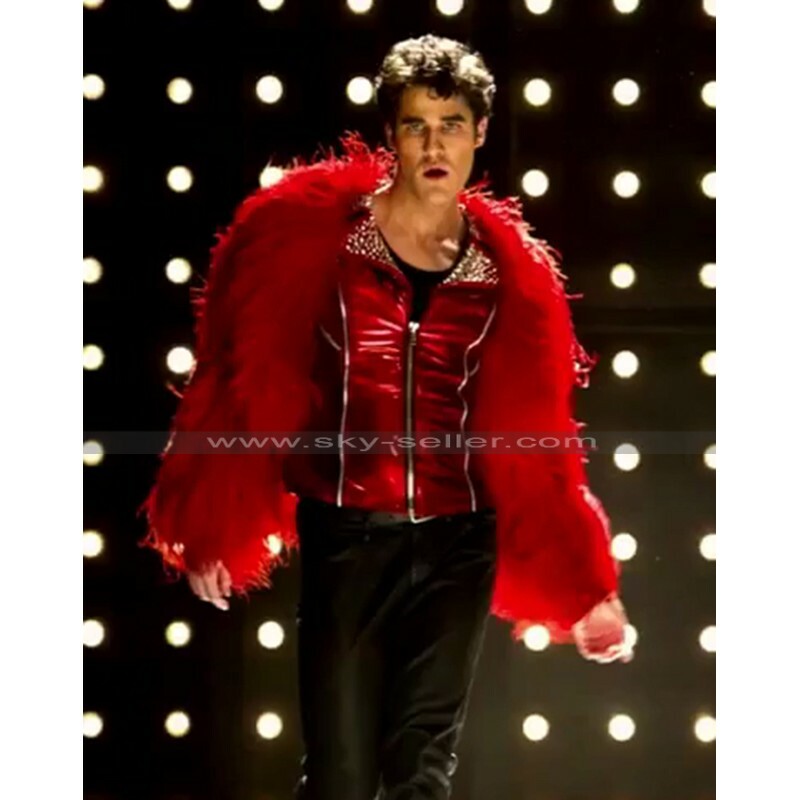 If yes, then here is your chance to look and feel just like your favorite celebrity Darren Chris who has played this character. 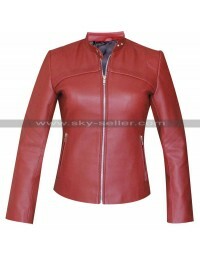 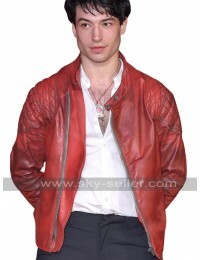 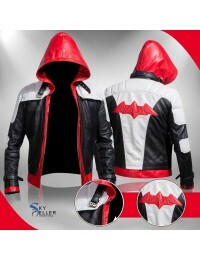 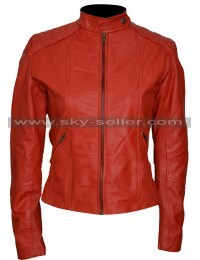 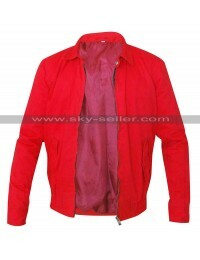 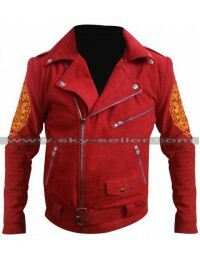 This beautiful and shiny red leather jacket is a replica of the jacket he wore in the series. 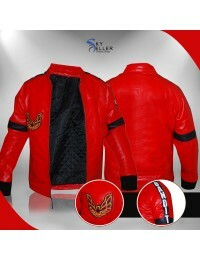 This jacket is so good looking that you can easily become the show stopper at any gathering that you go wearing it. 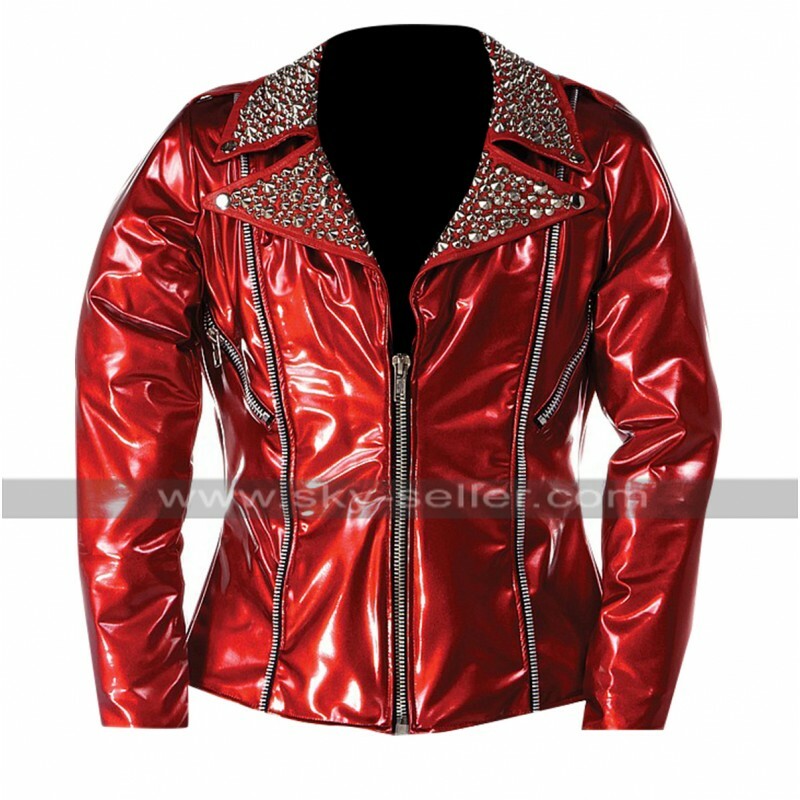 The highlight of this jacket is the metal studded large lapel collars that make you look like a rock star without making any effort. 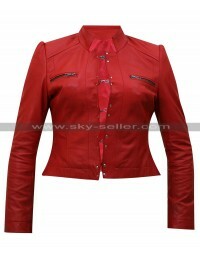 Another eye catching feature of this party jacket is the use of two zippers at the front for the purpose of show. 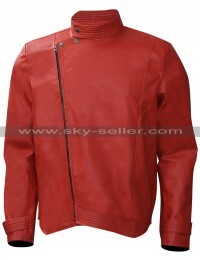 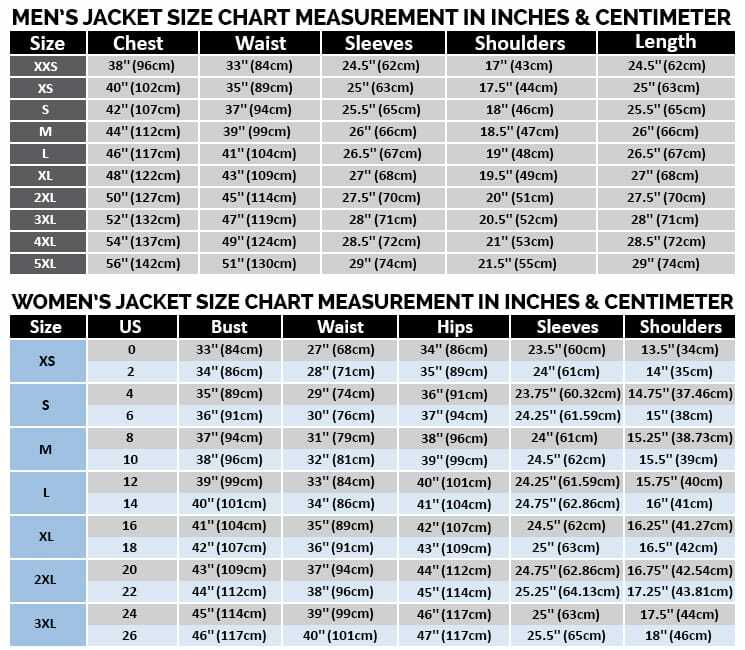 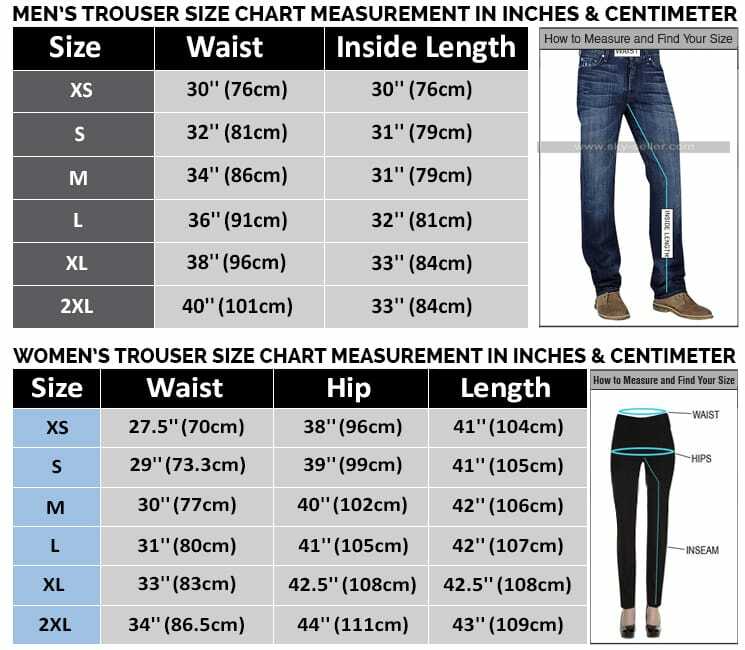 This slim fit jacket is designed to take your personality above several notches.